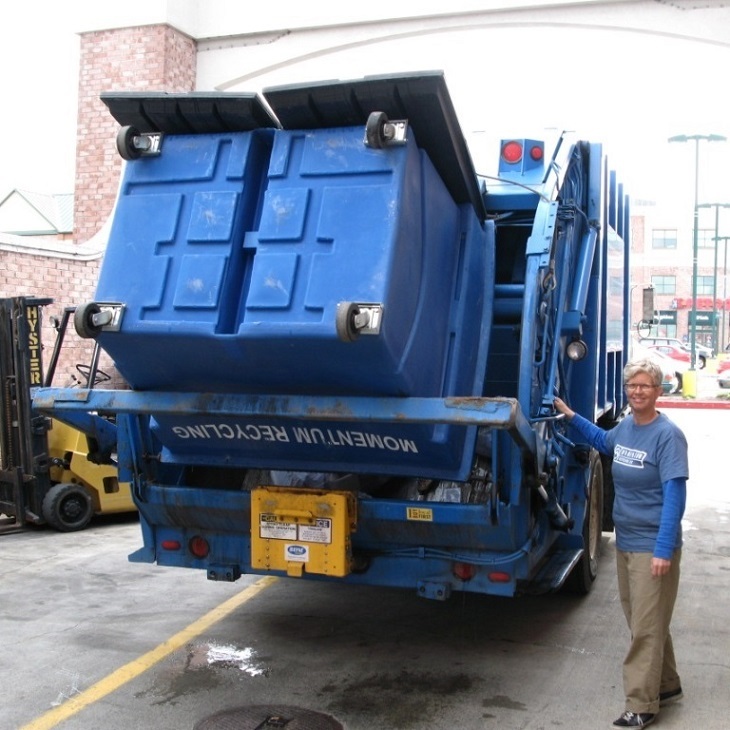 There are plenty of different opportunities here at Momentum Recycling! See below for our current list of job openings, and check back often as more opportunities arise. 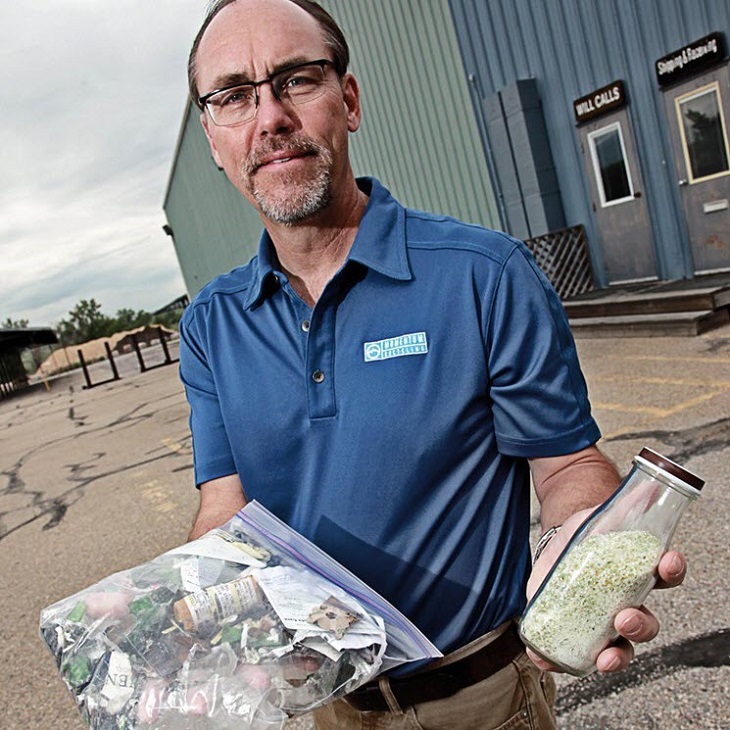 Momentum Recycling is excited to announce that we are expanding our team of Community Outreach Specialists to help expand glass recycling in the community! This part-time position offers a flexible schedule and the opportunity to work autonomously in making a difference in the community while enjoying time outdoors. 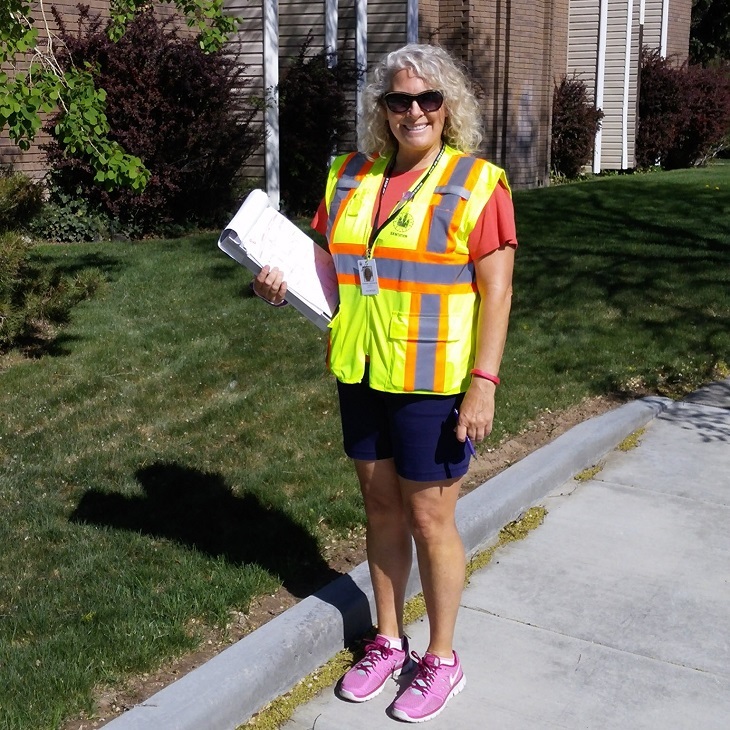 You will have the full support of an amazing and experienced Field Manager (Rosemary) and will work alongside other Community Outreach Specialists throughout Salt Lake County. 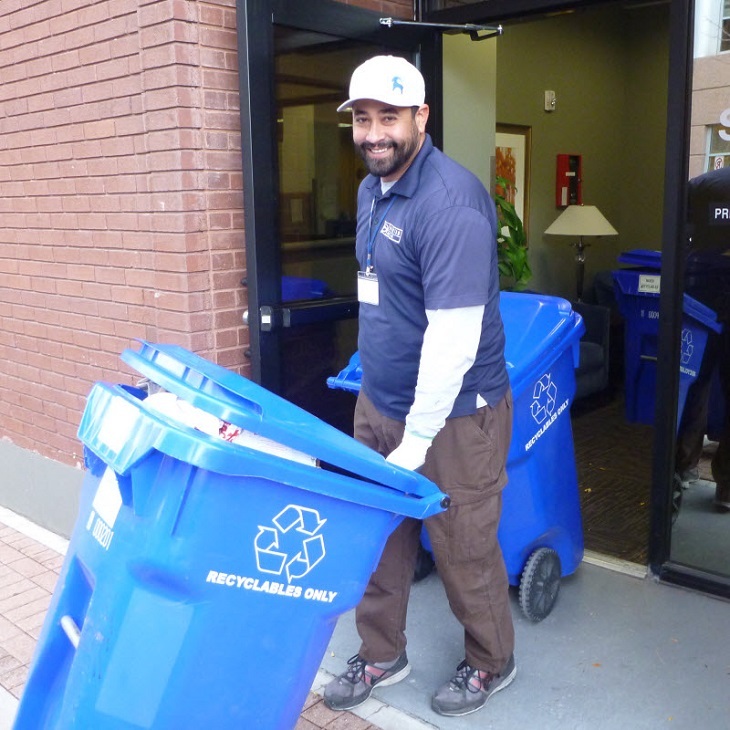 Talk to Salt Lake County residents about the importance of glass recycling and help them sign up for their own curbside glass recycling bin or inform them of their nearest drop-off location. Follow the route provide to you and record accurate results. Work together with the Field Manager to report progress for the team. Exhibit enthusiasm and professionalism when engaging with residents. Attend a two (2) hour training (paid) prior to performing outreach activities. Have fun! – This is a great chance to make a positive impact in the community! Proven communication skills and experience providing customer service. Ability to get along well with others and work in a team. Candidate must be willing to undergo drug testing and a background check. Must own a smartphone (iPhone/Android) or tablet (iPad) to use outreach application. Schedule: Must be available a minimum of 7 hours/week, with shifts generally M-F 4:30-7:30pm and Sat 10:00am – 3:00pm. You do not have to work all shifts: you simply need to commit to shifts in advance. If you can only work a partial shift (say from 5:30-7:30, or 11am-2pm), that is fine. $15.00 – $22.00+ /hour ($10.00/hr in base pay plus a progressive commission structure). Email your resume & brief cover letter to Jason Utgaard at jason@momentumrecycling.com. All applications will be reviewed and interviews will be conducted soon. 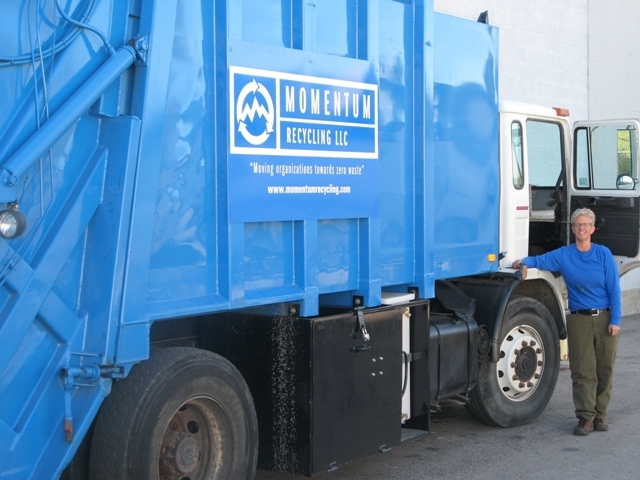 Use Momentum Recycling vehicles to collect mixed recyclables, green waste and glass, from clients throughout the greater Salt Lake City area, and deliver the recyclables to MRFs, End Users and the Landfill Composting facility. Monitor client diversion rates and provide regular feedback to clients about how they can improve their diversion rates or reduce contamination in their recycling stream. Keep vehicles under care clean (passenger compartment, compaction space, box space and exterior). 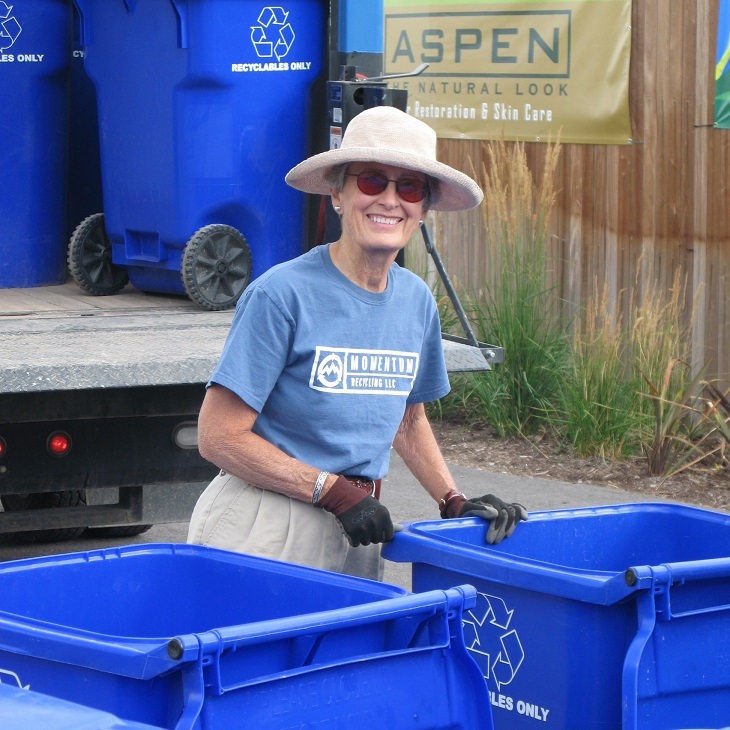 Assist with the coordination of recycling containers’ placement, ensuring the containers are clean and properly labeled before they are placed at a client’s site. Assist, as needed, with the purchase of spare parts and fuel. Work with Management to ensure timely and cost effective repairs of vehicles. Fill out mileage log forms and route forms on a daily basis. Ensure compliance with UDOT regulations and Momentum Recycling vehicle policies. Develop collection routes which ensure efficient use of resources. Perform other related tasks that may be assigned (i.e. registering vehicles, etc.). Participate in regularly scheduled team meetings. Attend promotional events on behalf of Momentum Recycling (in some cases, employee may need to work weekends). Be responsive to the needs of clients and ensure client needs are met. Commercial Drivers license (Class B). Prior work experience as a professional driver (3 years minimum) preferable. Familiarity with general vehicle maintenance and repairs. Commercial Drivers license (Class A). Operate the glass breaking & clean glass lines. Remove contaminants from the glass stream and deposit them in the proper receptacles. Ensure there is a clean work environment in the facility & receiving area. Measure, tag and store glass products according to the plant’s inventory system. Support the process of receiving glass into the plant for processing. Support the process of loading glass cullet onto trucks for delivery to end users. Assemble glass collection bins for placement at clients’ locations. Operate forklift/loader to move glass from one place to another. Provide welding repairs and preventative maintenance to equipment when necessary. Must have a reasonable level of physical fitness and be willing to work in a challenging work environment. Must have a strong work ethic and be able to follow instructions. Experience operating loaders is desirable. Interest in recycling and desire to make a difference in the community is a plus! The Momentum Recycling Amglassador Intern will focus on moving our community towards zero waste through various grassroots initiatives related to increasing recycling rates and awareness. 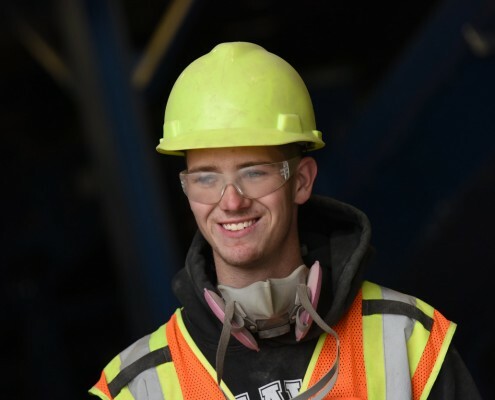 With a special focus on glass recycling, the Amglassador internship focuses primarily on marketing & outreach efforts related to engaging both residents and businesses on why and how to best recycle their glass. The role may also include project work related to operations, logistics and technology. Upon completion of the internship, the intern will be better prepared for a career in sustainability and in an organization focused on community outreach and transformation. If you are a college student looking to fulfill an internship requirement related to your major, you’ve come to the right place! Please contact us for more information. The plant mechanic position is responsible for performing highly technical and mechanical duties to install, troubleshoot, repair and maintain production and facility equipment according to safety, predictive and productive maintenance systems. This is a part time position, typically 20 hours per week, scheduled on the weekends. Salary is dependent on experience. Performs scheduled maintenance repairs of production equipment during machine service and provide emergency/unscheduled repairs of production equipment during production. Mechanical repair skills including welding and fabrication. Knowledge of crushers, conveyors and screens. Experience in the aggregate industry preferred but not required.